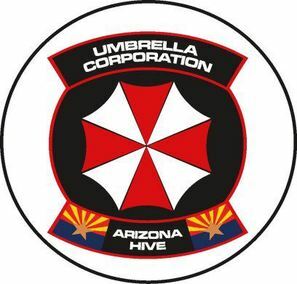 the Umbrella Corporation Arizona Hive is a non-profit cosplay charity group created by Donald Pease in November 2012. The group was designed to raise money and awareness for the Arizona Animal Welfare League & SPCA, as well as other charities that need help and awareness, while spreading the fun of costuming. All members dress up or create costumes and props based around the Umbrella Corporation from the much loved series Resident Evil. Our group makes appearances at many events throughout Arizona, including but not limited to events such as: Geeks Night Out, Phoenix Comic-con and Fear-Con.